The Ourika Valley offers a great opportunity to get close to nature and even closer to understanding and enjoying the fascinating Berber way of life. Fresh air, mountain trails, waterfalls and mint tea all contribute to a refreshing day out in the Moroccan countryside. 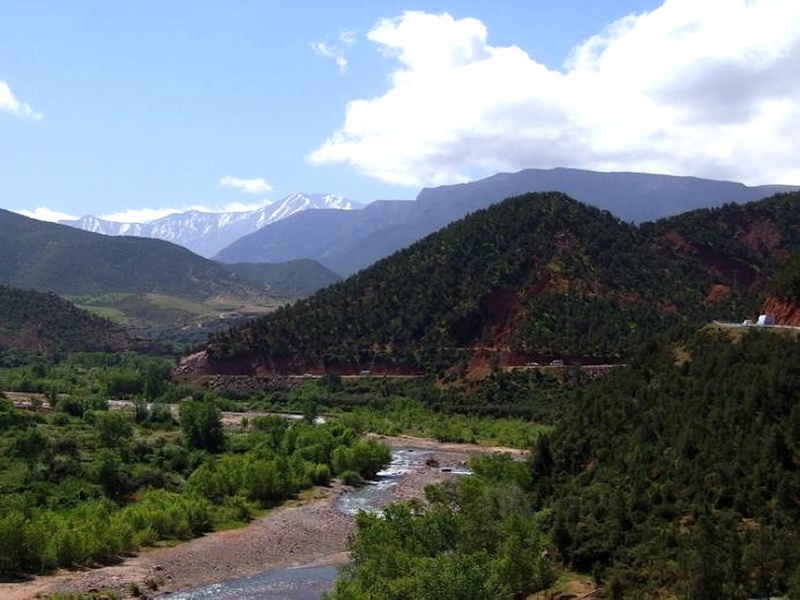 After meeting you at your hotel or riad with our guide at around 9.00am, we head south of Marrakech through the Plains of Haouz towards the foothills of the High Atlas Mountains. With the “red city” now firmly in our mirrors, we’re surrounded by green, fertile landed peppered with Berber villages – outwardly in various states of disrepair but inwardly a welcoming home for generations of the Berber people. And you will be welcome too as we are invited into a traditional Berber village house to enjoy a glass of mint tea and learn more about this incredible culture, their hardy way of life and their enjoyment of living in harmony with nature. Our journey to the Ourika Valley also provides us with an opportunity to stop off at one of several Argan cooperatives. These are run by women for less fortunate women here in the valley. Largely through the goodwill of tourists, the proceeds of the sales of oils and cosmetics produced from Argan nuts and berries are actually passed back into the community. There’s no obligation to buy, but it’s a great education to see and learn at first hand about the process. 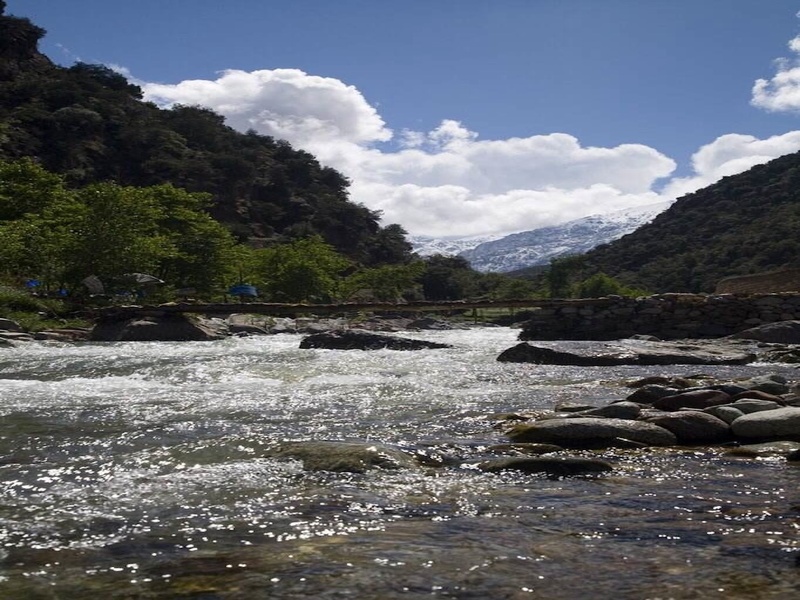 Through the village of Ourika, our route follows the river until we reach Setti Fatma where “Lady Fatima of Ourika” and her two daughters are entombed. Rope bridges, narrow paths, waterfalls and plunge pools provide a dramatic backdrop as we trek on foot further into the valley – but never too far from an enterprising café or restaurant ready to ply you with refreshments. We return to Marrakech late afternoon for you to spend the evening as you please.